I'd love to know how humans figured out that boiled tree blood is tasty. 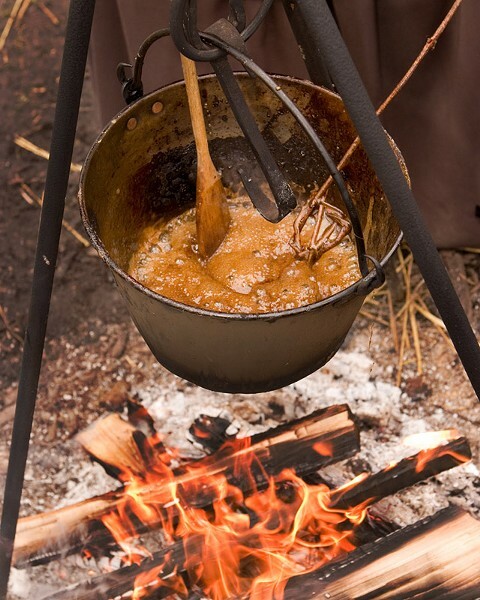 Specifically speaking, the process of making maple sugar and syrup has a long history in our region. This month, the Genesee Country Village & Museum will host events celebrating the sweet stuff during the final two weekends in March. The Maple Sugar Festival features educational Maple History Trail walks, a trip to the sugarhouse to see a modern sap evaporator in action, demos and crafts in the Historic Village, maple goods for sale, Native American storytellers (11:15 a.m. and 2:15 p.m. each day), and an all-you-can-eat pancake breakfast (9 a.m. to 1 p.m. each day). And a 21-and-over Maple Sugar Soiree will be held on the last Friday of the month, featuring a happy hour in the Nature Center, tours, tastings of sweet and savory maple treats, games, music, and a fire performance troupe. The Maple Sugar Festival takes place Saturdays and Sundays, March 23-24 and March 30-31, 9:30 a.m. to 4 p.m. each day. Festival admission is $10; free to museum members and kids under 17. Pancake Breakfast tickets are $10; $8 for kids under 17. The 21-and-over Maple Sugar Soiree will be held on Friday, March 29, 6 to 9 p.m. Tickets are $50; $45 for museum members. All events take place at Genesee Country Village & Museum, 1410 Flint Hill Road, in Mumford. 294-8280; gcv.org.